First up, I have to say that if you buy this go for the ‘Book’ packaging as seen here. It’s an oversized hardback with lyrics and some pictures that will give you a warm feeling the first time you open it. The second thing I have to say is yes, the cover is rubbish. The band need to get Derek Riggs on the phone pronto – give that guy a theme and he always knocks it our the park. 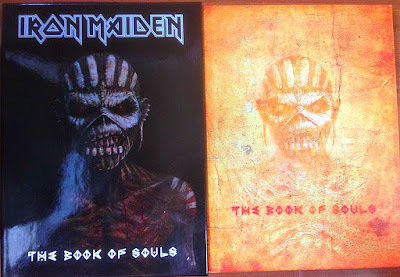 Whilst the extra illustrations inside are very well done, it’s sad to see a Maiden album with such an uninspiring cover. Remember when you first saw ‘Powerslave’ or ‘Somewhere In Time’? Eh? More of that would be nice. Anyway, that’s what’s outside, and in the end it’s what’s inside that counts, and inside you will find two discs that will plaster a big metal smile on most fan’s faces. Two discs? 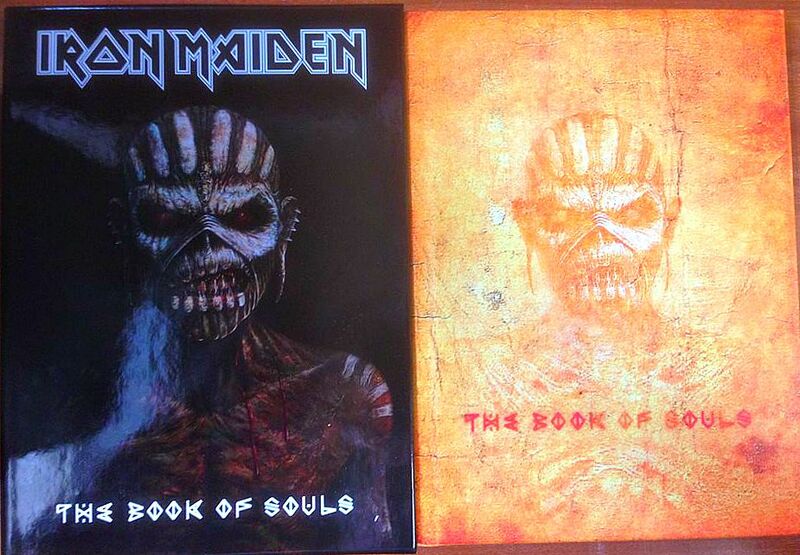 Yep, not only is this Maiden’s best album for some time, it’s also the longest. It clocks in at just over an hour and a half, with just three songs taking up forty minutes of that. This is why we’re a few days behind on this review, because this isn’t an album you just listen to a couple of times. For the old school brigade there are a couple of Smith/Dickinson collaborations that gallop along like it was 1985 again, one of them being the excellent single ‘Speed Of Light’ (get thee to YouTube if ya haven’t heard it), the other, ‘Death Or Glory’ pelting along like a racehorse. This isn’t to say that the rest of the album plods along, because it certainly doesn’t, with many of the songs mixing tempo and feeling throughout, but never just settling for a laborious structure. Dickinson also gives us what will be the album’s talking point, the eighteen minute closer ‘Empire Of The Sky’. It starts with a slow piano and strings, almost like a Nightwish epic, and builds to a suitable guitar fuelled ending as Dickinson wails on about the airship R101, which crashed in France and ended British airship development as it did so. It’s a haunting tale featuring some of Dickinson’s most poetic, evocative lyrics, and hopefully will end up in the live set at least once.